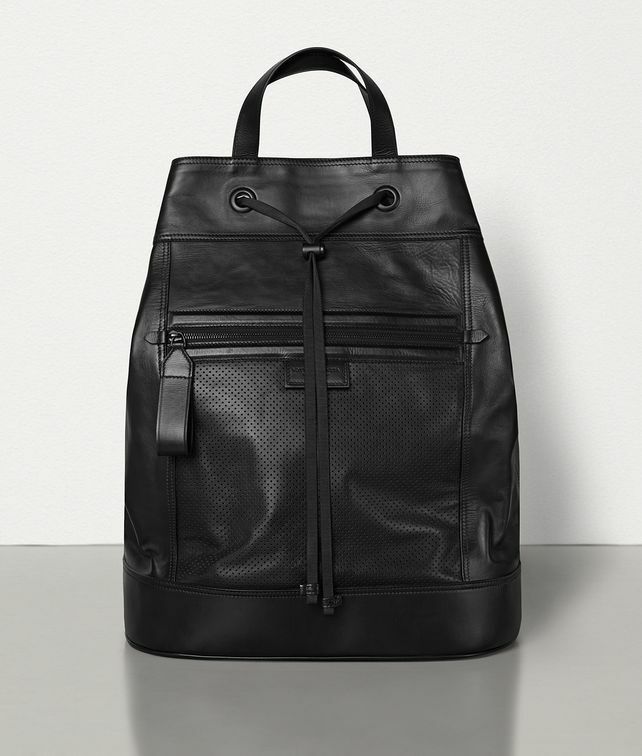 This soft, top-loading backpack is crafted with a mix of smooth and perforated leather, inspired by luxury car interiors. New for Spring/Summer 2019, it reflects the essential mix of sportiness and sophistication within the men’s collection. Hardware: Nero opaco Height: 50 cm | 19.6"
Width: 36 cm | 14.1"
Depth: 21 cm | 8.2"